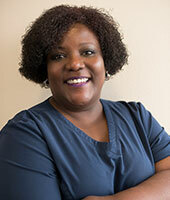 A native Floridian, Holly has been a member of our dental team for more than 15 years. She has her Bachelor of Science Degree in Criminology from Southern College and has always attended management training courses in Raleigh, NC, San Antonio, TX, and Orlando. In the past, she’s managed a small private office that she helped start up, as well as a practice with several doctors, hygienists, and specialists. Her favorite part of her job is that it’s different every day! She really enjoys being able to mentor the team through mutual respect and trust. Outside of work, she is the proud mother of two children and wife of an active duty soldier. Her hobbies include shopping with her daughter, reading books, being the typical soccer mom, and traveling to new places with her family. 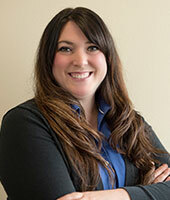 April is originally from Stevens Point, WI and has nearly ten years of dental care experience. She loves building relationships with her patients and being able to help them be healthy and receive the care they need. She has been married to the most amazing man and her best friend and they have a fur baby named Bear that they rescued from The Humane Society. Outside of work, she enjoys spending time with her hubby and puppy and supporting the Green Bay Packers. Her nickname is Sunshine because she’s always happy! With more than 20 years of experience in her field, Andrea is an invaluable asset to our practice as one of our registered dental hygienists. She attended both Lon Morris College and Howard College, earning associate’s degrees in liberal arts and applied science. 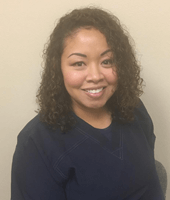 Andrea’s certifications include CPR and nitrous oxide, and she consistently pursues continuing education at Temple College and Texas Dental Association in San Antonio. Outside of work, Andrea enjoys reading lots of books, shopping, crotchet, and cheering for her two children at their sporting events. One interesting fact about Andrea: Her biggest dream is to open a book store one day. 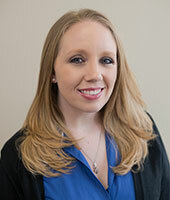 Originally from Lampasas, Tx, Jesenika joined our practice in 2013 and has more than 11 years of experience in the dental field. 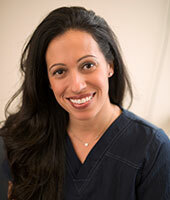 She completed her dental hygiene program in 2004 and continues her education at Texas Dental Association in San Antonio, Midwinter in Dallas, and Temple College. She is also certified in CPR. Jesenika says that the best thing about her job is that she not only gets to provide exceptional dental care, but that she has forged great bonds and friendships with her patients. She and her husband met in 8th grade and they love spending time with their children and family, especially when they’re playing co-ed softball and enjoying recreational activities in the park. One interesting fact about Jesenika: She co-owns Mattress & More with her brother in Copperas Cove, and they recently opened another location in Killeen. 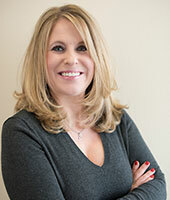 Helen has been with the company for several years, starting at our practice in February of 2009. She attended the Academy of Health Care Professions and also has undergone additional training in radiology, jurisprudence, infection control, CPR, N2O, and dental implants. Her favorite thing about her job is educating people about dentistry and helping make their smiles beautiful! She has a son who plays the double bass for Harker Heights Orchestra. In her free time, she enjoys watching football and spending time with family. One interesting fact about Helen: She’s an ex-prison guard. Noehmi has been working in the dental field for more than 10 years now. She attended Allied Health Careers and is certified in nitrous oxide. Her favorite thing about her job is that she’s able to help relieve a patient’s pain and give them important knowledge that keeps their teeth and mouth healthy. She is married and a mother of two. Family is very important to her, and she feels blessed to still have both of her parents and three sisters. Her brother passed away in 2008. Outside of the office, she enjoys watching movies, going out for a good steak, and bike riding with her husband. One interesting fact about Noehmi: She loves meeting new people and seeing new places. 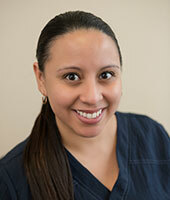 Janell worked as a dental assistant for two years before switching over to the business side of the practice. She says one great thing about her job is being able to educate patients on the best decisions they can make for their dental health. Originally from Kempner, TX, Janell worked in banking for 9 years before she found her true calling in dentistry. In her free time, Janell enjoys spending time with her husband, daughter, and their two dogs. 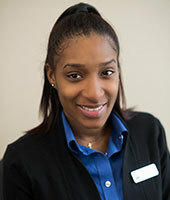 As our business assistant, Terris says the best thing about her job is being the first friendly face patients see when they walk into the office, and the last smile they see as they leave. Terris is originally from Waipahu, Hawaii. In her free time, she enjoys spending quality time with her husband and young son. One other interesting thing about Terris -- she did gymnastics for 12 years and can still flip to this day!